My first electric bike was an Easy Motion e-bike. I bought is less than two years ago. So it should last me a few more years, right? 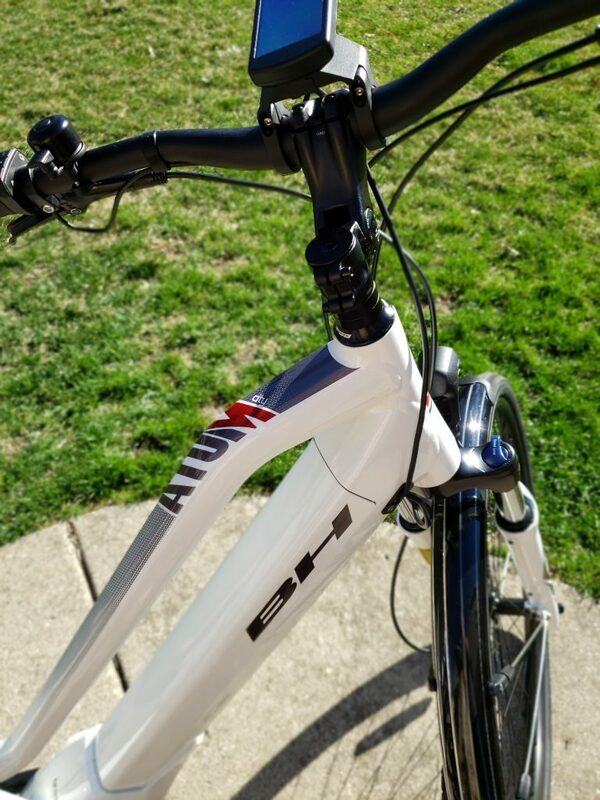 When I saw the new 2019 e-bikes, I knew I HAD to have a new one. Easy Motion is now renamed BH Easy Motion (BH is an old line, Spanish bike company) and the object of my desire was the BH Atom City Wave. Why did I want/need this e-bike? First, we have found that many owners of electric bikes like to upgrade. The technology is advancing so quickly that a bike that was unaffordable a few years ago can be comparatively cheap. 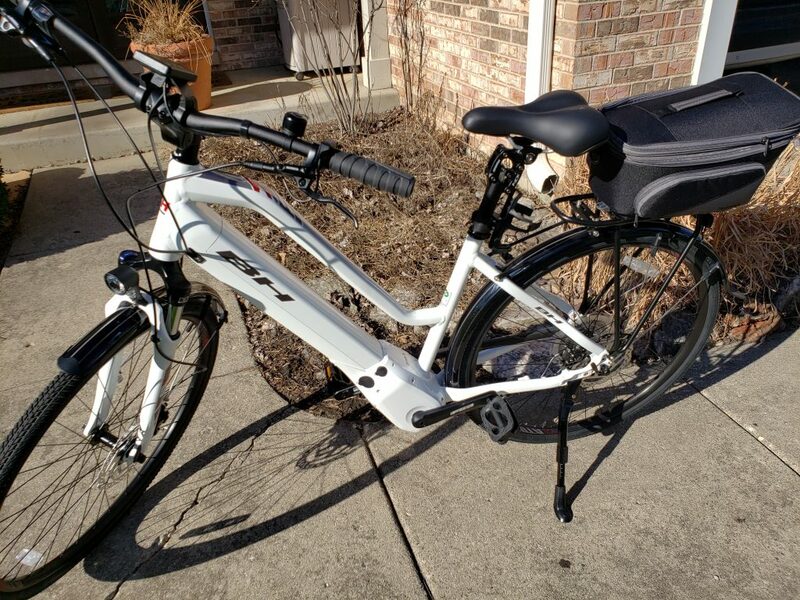 Second, I wanted an e-bike with a Brose mid-drive motor. These are more responsive than the older hub drive motors mounted on the rear wheel and the prices have come down a lot. Riding a bike with a mid-drive feels like “normal” riding and not like I’m being pushed along by the rear wheel. Third, I wanted a step-through bike, rather than swing-your-leg-over-and-hopefully-not-kill yourself e-bike. I really love how this bike looks and rides. 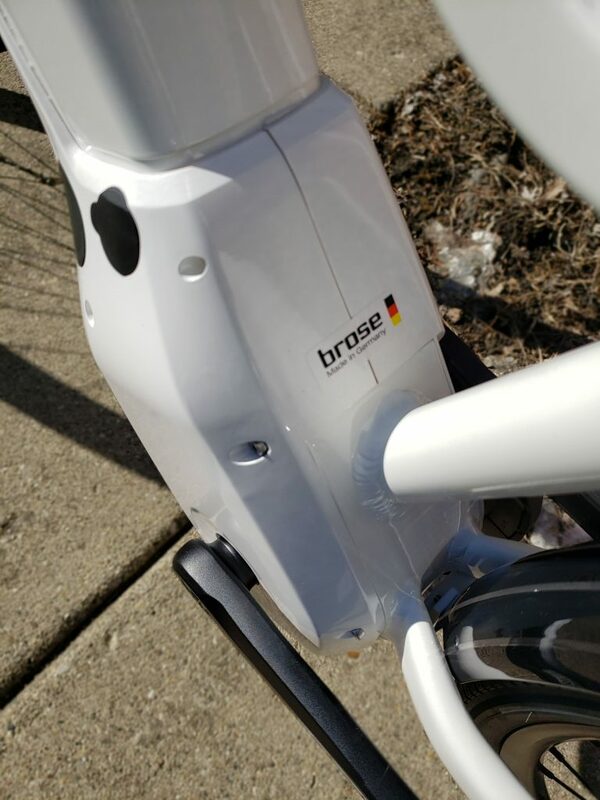 The Brose motor is very smooth and unobstrusive and the battery is under tucked into the area where the BH logo is.” You do not have to remove the battery to charge it. Just plug in the charger near the pedals. At Samcyle, we really like the flexible seatposts from Suntour and we add them as an extra on many e-bikes. We added one to this bike along with a Racktime trunk bag for extra storage. 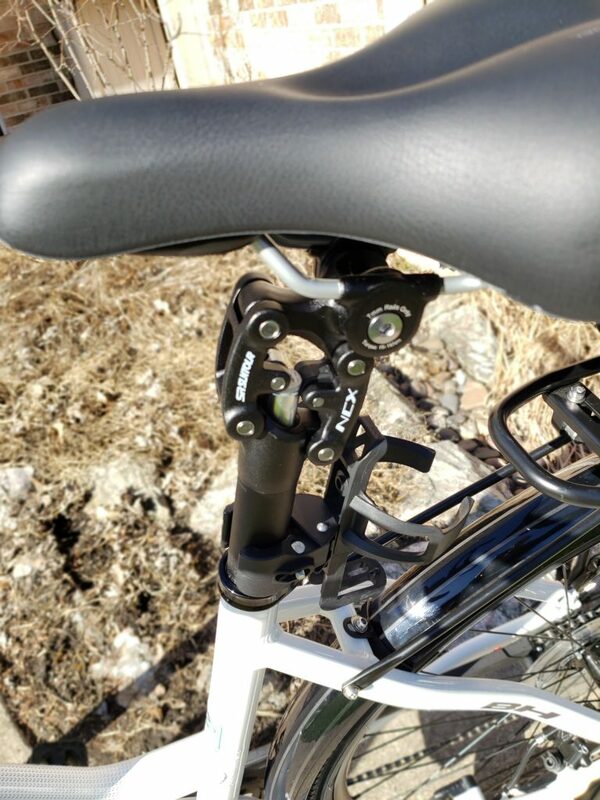 This bike disc brakes front and back and a headlight and rear tail light that are integrated and flip on and off from the same switch that controls the assist levels on the handlebars. My “old” Easy Motion had the control panel for the assist level on the left part of the handlebar, but this model has the unit front and center in the middle of the handlebars. The assist levels are color coded and I spend most of my riding time in the first assist level, which for all but the steepest hills is plenty. We have this bike in stock at Samcycle and it’s a pleasure to test ride. Fair warning, you will want it.